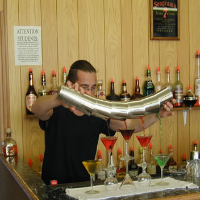 Find detailed information about all types of bartending schools in NY. We are your go-to resource for New York bartending schools. One of the Top NY Bartending Schools! Rated the "best bartending school in New York" in the Bar, Club & Lounge Guide; New York Bartending School has been responsible for training some of the most professional bartenders at the busiest bars and clubs in the state. The school's reputation is unparalleled in the hospitality industry, with its up-to-date and comprehensive training program. The school offers flexible class schedules, allowing students to practice as often as they like. You can even take courses over and over again for no added fee! All instructors are state licensed, professional, experienced, and extremely supportive. 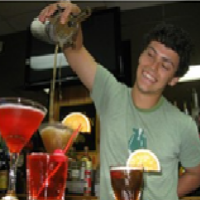 Graduates gain access to a local and national job placement assistance program that includes a daily listing of real bartender jobs. Find out why New York Bartending School is not only one of the leading bartending schools in NY, but in the entire country! A bartending institution that has over 25 years' of experience in the industry, the New York School of Bartending is committed to offering high quality bartending training that equips students with skills and knowledge. The curriculum model offered by this licensed NY bartending institute allows students to use three quarters of their time learning practical skills while the remaining time is used for lectures. 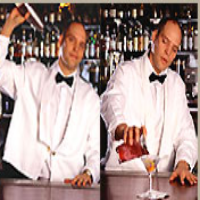 Should you enroll for bartending classes at the New York School of Bartending, you will learn how to prepare over 200 cocktails and drinks and how to use the latest bartending equipment with just 40 hours of training. Choose between morning, evening or weekend classes to suite your time and schedule and start your journey to becoming a qualified bartender. The Authentic Bartending School is one of the best places to learn how to become a professional bartender. This NY bartending school has a reputation of providing students with comprehensive training. The syllabus scope taught to students will cover aspects such as the art of mixing cocktails, serving drinks, inventory control, customer service, bar tending duties and state laws on liquor control. Other than learning the theoretical aspect of bartending, students engage in practical lessons at the school’s bar. Students have the flexibility of choosing to attend either morning, afternoon, evening or weekend classes. Both novice bartenders and those with experience are welcome to apply at the Authentic Bartending School of New York. Established in 1969, the American Bartenders School is the longest running bartending college in NY. 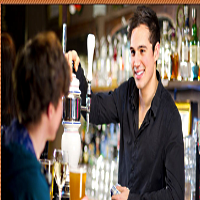 The school has a long history of producing competent bartenders that work in all types of establishments. Since the school is accredited both by the State Education Department and the Better Business Bureau, students that enroll here can be sure of getting high quality training. Being an established NY bartending school, the American Bartenders School maintains contact with potential employers that run bars, night clubs and other businesses establishments. As a result, students that graduate from the school not only get a recognized certificate, but also benefit from a free job placement service. 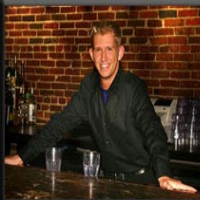 ABC Bartending School is a family run training institution with schools throughout the country. Established by Tony Sylvester, the school has been training professional bartenders from all parts of the nation since 1977. Besides being rated as the largest NY bartending school, ABC provides high quality training to its students. It is also an accredited institution with licensing from the State Education Department. The school enrolls students every week and it offers flexible class schedules as well as payment plans. In addition, those that graduate from ABC have the distinct privilege of benefiting from a lifetime job placement program. Also known as Allstar Bartenders Training, inc , 1-800 bartend began training students in Medford Long Island October of 1989. Today, it is one of the biggest bartending schools in New York, with schools based in four different prime locations in the state. One thing that sets the Allstar bartenders Training school apart from the rest is the fact that this institution offers its graduates a certificate for completing training and a license of practice. With these credentials, you become more employable in all states and you can work in any kind of establishment. With only 16 or 40 hours of training at 1-800 bartend, you can call yourself a certified bartender. It is worth noting that this school is also accredited by the State Department of Education. Learn How to Bartend in a Real Bar! Great bartending starts with learning from great teachers, and what better way to become a pro behind the bar than learning the art of bartending in an actual bar? This is exactly what you will get should you decide to train at the Bartenders Professional Training Institute. All the classrooms at this New York bartending school are designed like real bars so that students can be stimulated on the job while training. Get to train in state of the art bar stations under the guidance of qualified instructors. You will even enjoy individualized training since the classes are small, with only 6 -12 people. Classes at the school commence weekly, and students can choose between full time, weekend or flexible learning schedules. Bartending can be a rewarding job that allows you to meet new people, make friends and have fun while working. To enjoy all of this, why not start your bartending career by enrolling for classes at the Academy of Professional Bartending in NY. This school is licensed by the State Education Department, hence you can be sure of getting a bartenders certification that is nationally recognized. Mixology classes are limited to ensure students get quality attention plus the learning environment is set up as a real barroom. So make sure to enroll as a student at this NY bartending school, a place where students are taught the art of mixing cocktails, garnishing drinks, pouring the perfect beer, relating with clients and every other aspect of bartending. Also known as the Northeast Bartending School, Albany Bartending Institute is one of the most respected bartending schools that has been training qualified bartenders for more than two decades. The teaching faculty at this NY bartending institution knows that bartending involves more than just learning a few recipes and mixing a good drink. As a result, Albany Bartending School boasts of teaching a comprehensive curriculum that covers all aspects of bartending. What's more, the hands-on training approach employed by instructors will enable you to gain real bar tending experience and the confidence you need to feel comfortable on your first day of work. Additionally, the school runs a job placement assistance program to help graduates find employment opportunities. To become a certified bartender, you can count on the National Bartenders School to help you get a valid certification and essential bartending training. 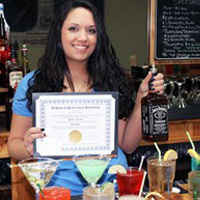 This licensed bartending school in New York offers a detailed bartering program to ensure a quality learning experience. From the art of mixology to learning standard operations of a typical beverage selling establishment, students at this school are trained on every aspect of the trade. 50% of the time used for learning is allocated to practicing bartering skills and the other 50% is used for lecture time. In addition, the National Bartender's School takes pride in offering both local and national job placement for its graduates. Learn How to Mix Cocktails Like a Pro! 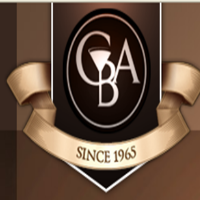 Since 1965, CBA School of Mixology has been training skilled bartenders, many of whom have managed to work in New York's top bars, upscale restaurants, night clubs, pubs and catering establishments. The learning experience offered here is practical in every sense of the word. Unlike most bartending schools in NY that use flavored water during practical lessons, the CBA school of mixology allows students to use real liquor. As such, you will learn how to mix cocktails like a pro and know how your drinks taste. A guest bartending program is also provided to help students obtain hands-on working experience. In addition, the school boasts of providing lively classes led by graduate bartenders that have vast experience in teaching.